THE NUMBER ONE BESTSELLER This Modern Love is a unique crowdsourced book of letters, stories, and photographs about the state of modern romance by YouTuber Will Darbyshire. `Question 1. What would you say to your ex, without judgement?' Seeking closure after a tough break-up, Will Darbyshire was driven to strike up an intimate conversation with his online audience. Posting a series of questions via his YouTube, Twitter and Instagram channels, Will asked his followers to share their innermost thoughts about their relationship experiences, in the form of hand-written letters, poems, photographs, and emails. 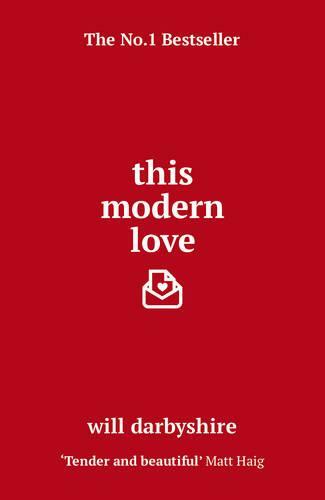 After 6 months and over 15,000 heartfelt submissions later, from over 100 countries, This Modern Love collects these letters together to form a compendium of 21st century love, structured into the beginning, middle and end of a relationship. Tender, funny and cathartic, This Modern Love is a compelling portrait of individual desires, resentments and fears that reminds us that, whether we're in or out of love, we're not alone.